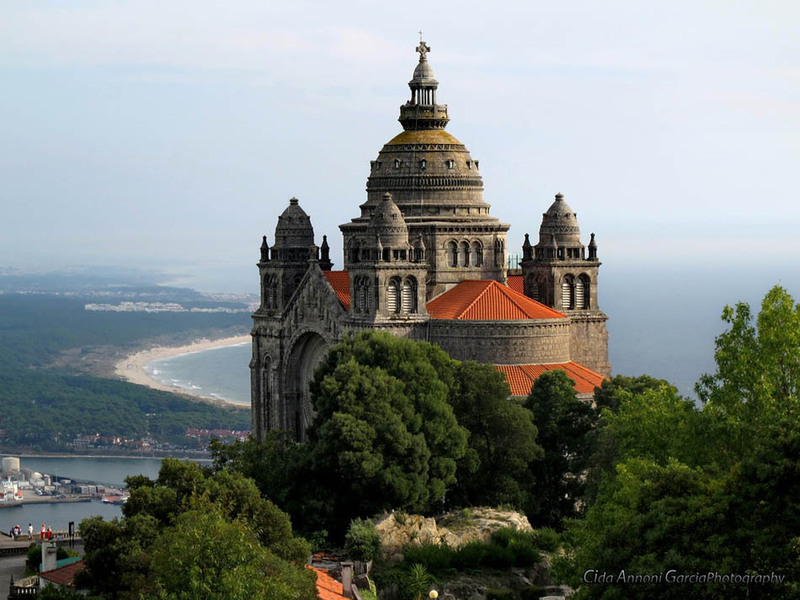 Be surprised by the Santa Luzia Sanctuary in Viana do Castelo, Portugal. 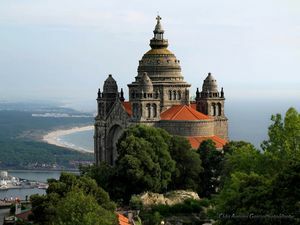 The Santuário de Santa Luzia (Santa Luzia Sanctuary) is one of the main attractions of Viana do Castelo. This monumental Temple is located in the Hill of Santa Luzia (228 m), on the suburbs of the city. It’s a Byzantine Revival temple of the 20th century. Stands out the roof decorated with paintings, the access to which access is found in the ground floor of the Museum, via an elevator and then by a narrow staircase (price 0.80€). From the Hill of Santa Luzia you will enjoy a stunning view of the coast and the Valley of Lima. To ascend to the temple you can use the cable lift (prices: 2.00€; round-trip 3.00€) departing close from the railway station. You can also go by car (3.5 km), or walking (2 km). Near the Basilica, also located in the mountains, you will find the ruins of the old Cidade de Veha Town. Monte de Santa Luzia, Viana do Castelo. To ascend to the roof 0.80€. From April to September 08:00 -19:00h. From October to March, 08:00 -17:00h.